Let me start by saying that I see photo challenges in the blog stream everyday and everyday artists post some really wonderful images, but these challenges are a mystery to me…”Who is doing the challenging and what is the outcome?”… “What is the goal?”… “Where can I see the work of the other competitors?”… “Who won?”… As I reflect on my own questions, I realize that my upbringing as a Naval Aviator embedded in me a sense that there is always a winner and a loser and that everything (Everything) is a competition…now, I throttle back and think about my own motivations…Everything does not need to be a competition (I’ve grown up a little). Competition is the means by which we motivate ourselves to perform or produce. Competition is what we require in the absence of inspiration… What a thought?! Imagine a world in which we are all inspired and act upon inspiration instead of competition. This is where I find myself…I mean this is where I truly find myself…In my photography, I am searching for inspiration and when I find it, the landscape screams to me, “Capture this moment! Share this moment!” These are the moments that excite, engage and inspire me…they call me. These are the moments that I try to share on the Aerial Horizon. 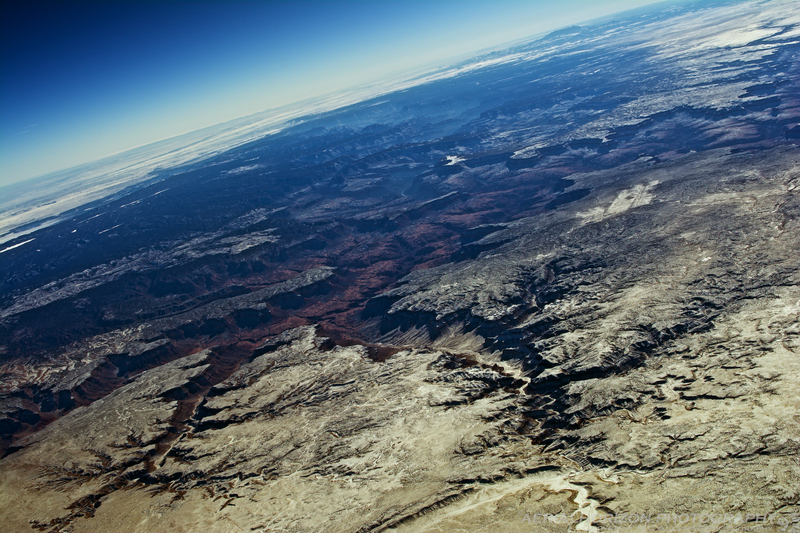 The scene in this photograph inspired me to capture it, as I passed over the Kanab Plateau and looked southeastward upon the Grand Canyon pondering the snow-covered desert landscape. What inspires you? Whatever it is, follow it and find yourself…And when you need the nudge of competition, take on the photo challenges until you discover your inspiration.